EFL fellows Leah and Marina, along with the Women’s Empowerment program assistant Rawan, visit with some students of The Women’s Program. One of my favorite memories I will take is the brief Arabic Language Class that local staff member Rawan gave me that provided endless jokes. She taught me a few local terms to joke with people and this proved invaluable in a number of circumstances when people would ask me what I know in Arabic. This small cultural lesson created a conversation starter with people as I traveled throughout Palestine. And Mike’s students never tired of my quick insults that I could throw at him in a jovial way. Lastly, on my final weekend in Nablus I had the opportunity to go to Balata Refugee Camp with Rawan and international fellows Mike and Marina to visit the house of one of the women from The Women’s Group. This was an incredible experience and gave me so much insight into the communities we work with at TYO. These ladies provided us with a delicious lunch, henna tattoos, and dancing. It was a great way to finish up our time and learn just a little bit more about the local culture. In the end this experience really gave me some insight into the lives of the Palestinian population. 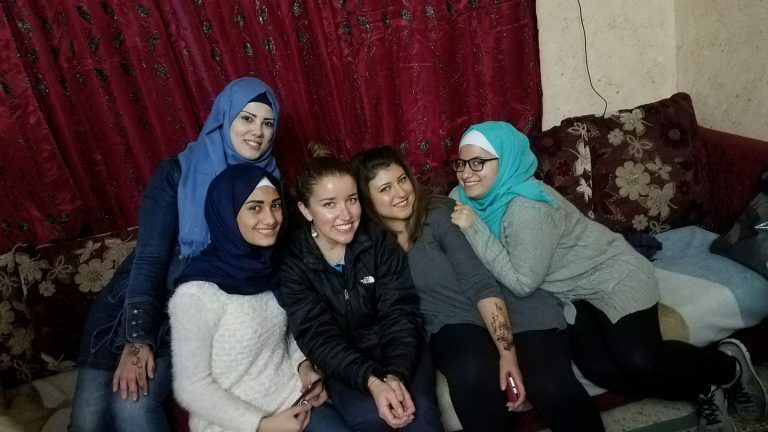 Between the students I met and the locals I engaged with throughout my travels I have a deeper understanding of what it means to be a Palestinian. My hope is to take my own experiences to be an advocate for the support of the local Palestinian Community.